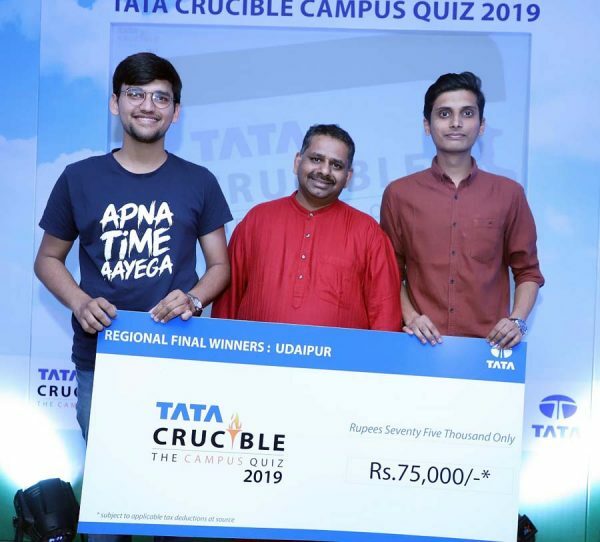 Udaipur : Anshul Sharma & Srijan Sharma from All India Institute of Medical Sciences (AIIMS), Jodhpur decimated their opponents to win the Udaipur edition of Tata Crucible Campus Quiz 2019. 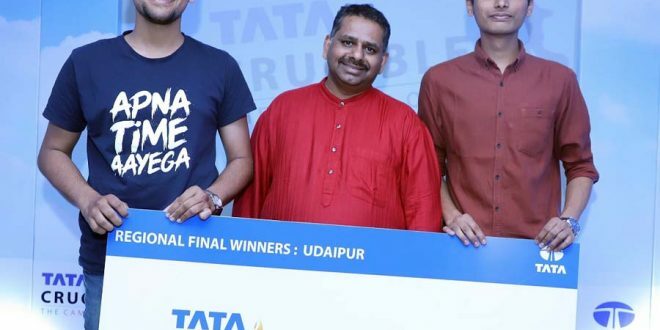 A total of 177 teams battled it out in the city level finale for the top honours, held at the Pacific University, Udaipur. Anshul Sharma & Srijan Sharma took home a cash prize of Rs. 75,000* and will compete in the zonal round to qualify for the national finale. Jagriti Jha & Sahil Ahmed Mansuri from All India Institute of Medical Sciences (AIIMS), Jodhpur were declared runners-up, winning a cash prize of Rs. 35,000*. Dr. Mahima Birla, Director, Pacific University, was the Chief Guest at the finale.